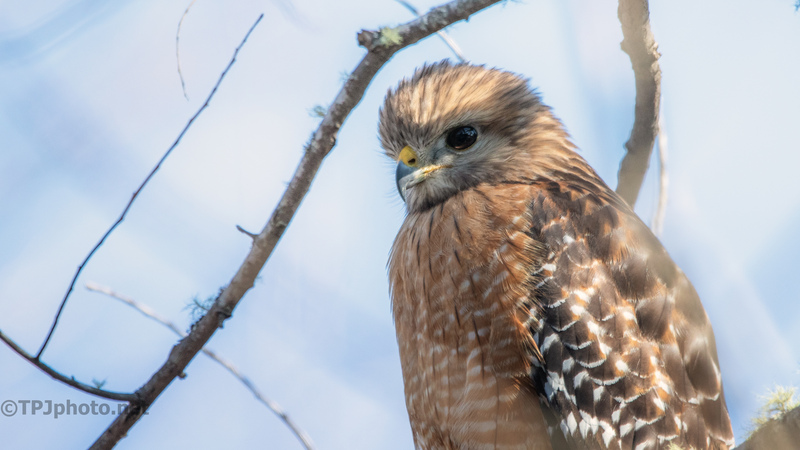 I can go weeks without seeing a single Red-shouldered Hawk. You can always hear hm in the woods and swamps, but they can hide better than most. This winter they seem to be everywhere. They are a common raptor all along the eastern US. There are places in Florida that only have this species of hawk. Here the bird was sitting off the side of a swamp while another flew around and called. This one didn’t seem interested in the other hawk at all. He’s a beauty. Nice detail! I wish the branches were a little spread out, but it’s what I had. 😀. Thanks.